Along the way, Delilah was blessed by thirteen children—ten of them adopted. Though many of them contend with special needs and the forever effects of a broken foster care system, her children have been able to transform their own remarkable lessons into guiding lights for other kids in need. Just as Delilah has done. 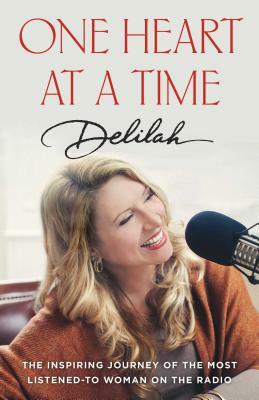 Delilah is one of America’s most popular radio personalities, and the most listened-to woman on the radio in America. Her self-titled radio program boasts an estimated 9 million listeners nationwide. She has been inducted into the National Radio Hall of Fame and the NAB Broadcasting Hall of Fame. Her show’s success earned her a National Association of Broadcasters’ Marconi Award in 2016 as Network/Syndication Personality of the Year and a GRACIE Award in 2012. Delilah is also the founder of Point Hope, an NGO that champions forgotten children, particularly those in the Ghanaian community, Buduburam, as well as those in the American foster care system. The mother of thirteen children—ten of them adopted, Delilah splits her time between her nighttime radio program, trips to Ghana, her 55-acre working farm, and her large family. She is the author of three previous books: Love Someone Today, Love Matters, and Arms Full of Love.